In May 2017, the first project to be funded under the Islamic micro financing was launched at Buhoma Community in the south western District of Kanungu. Islamic financing, unlike conventional financing help low income earners access finances at a no interest. More than Shs 35billion from the Islamic Development Bank has been injected in 54 projects across the country through SACCOs, cooperative societies and other groups, benefiting over 10,000 people. John Peter Mujuni, the Executive Director MSC says the money is given out to all Ugandans Muslims and non-Muslims alike, as long as the intended objective for financing is not anti-shariah law. Mr Mujuni says bearing in mind that they finance projects worth billions of shillings, the uptake has been impressive and they have already achieved 70 per cent in terms of the funds allocated to the programme. He says shariah law does not allow charging interest on loans and this has led many people opt for this kind of financing at the expense of conventional micro financing that charges interest. “The biggest problem that continues to constrain productivity and household income in Uganda has been inadequate access to development capital due to high interest rates but with this mode, people get money and we share profits basing on the agreed percentage” said Mujuni. “Complicated eligibility procedures and concentration in urban areas by most conventional banks leaves out majority of Ugandans who live in rural areas and are small entrepreneurs. Islamic microfinance solves this challenge,” he added. However, the money is given under the guidelines of the Islamic sharia law meaning that the money given cannot be used in ventures that differ from the Islamic beliefs. Among such business is dealing in piggery, bars, prostitution and gambling. In addition to following the shariah laws, the projects that need funding under the Islamic banking will have to be registered, have clear ownership and governance structures, and should have been in existence for at least two years. Belinda Atim Micheals the Public Relations officer at MSC says they have already trained more than 123 staff members and over 80 client institutions around the country to help in implementing the Islamic microfinance loans. 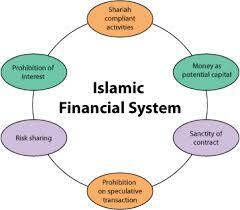 Islamic banking is already being practiced in countries like South Africa, Rwanda, Kenya, Tanzania and Sudan. “This kind of banking is based on the principle of loss and profit sharing and emphasizes the principle of no interest,” She says. 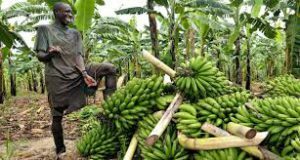 Most banks fear financing the agricultural sector due to the associated risks, yet under Islamic banking the borrower shares the loss and profits with the bank. Islamic finance is based on principles of ethics and transparency which means that it holds plenty of appeal for borrowers regardless of their religious backgrounds. Under the Islamic financing, there are differences like the Musharaka (equity financing or joint venture partnership between the entrepreneur and the financial institution, Marabaha (cost plus financing or asset financing), Madaraba (profit sharing ) Salam (forward sale) Muqawala and Istisna. Sharia law has many rules that affect a Muslim’s daily life, including detailed requirements relating to commerce. Practicing Muslims ensure that they act in ways that are halal (permissible) and not haram (forbidden) by following the rules set out in the Qur’an. “When you talk about Islamic micro financing you are talking about partnership. We finance already existing business that only need a push and we are focusing more on agriculture. Here we share both the profits and the losses depending on the circumstances,” she adds. Before giving out funds, MSC sends a team on the ground that develops feasibility study and look at the cash floors of the project to ensure that it will make enough money to sustain the client and be able to pay back the loan. Innocent Agaba the institution’s senior strategy and risk officer says Islamic Micro financing also allows for refinancing in case of losses to give the business a life line. Islamic law considers money to have no intrinsic value. Money is a measure of value only, and not valuable in itself; it is a medium of exchange or a unit of measurement, but not an asset. “Money must therefore be converted into a commodity in order to be useful. In Islamic finance, you cannot use money to make more money, and there must be an underlying asset or production of some sort to produce a profit. Investments must therefore be based on assets,” Agaba adds. Conventional finance relies heavily on paper money, whereas the Islamic finance model only involves the part of the economy related to producing goods and services, as opposed to transactions that relate only to financial markets such as the stock market.